This is a hamburger recipe with a little punch. 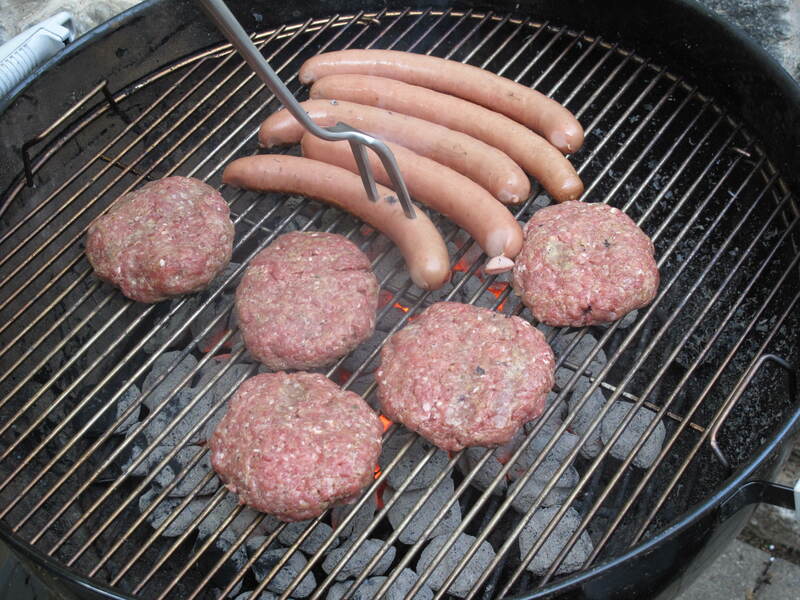 For so many years, a hamburger on the grill was just that. Hamburger from the supermarket pressed into patties with a little salt and pepper. While they were good, they weren’t great. There had to be a way to punch the flavor up just a little. So here is the recipe we use here on Glen Road that combines several ingredients that make the patty taste great. It may not have been posted for use over Memorial Day, but we have the rest of the Summer. We call this recipe our ‘Not So Ordinary’ hamburger. Carefully mix the meats, bread crumbs, steak sauce, mustard, eggs, salt and pepper with the tines of a fork, but do not mash them. Combine them so that the meats and ingredients mix together well, but the meat is light and not packed together. 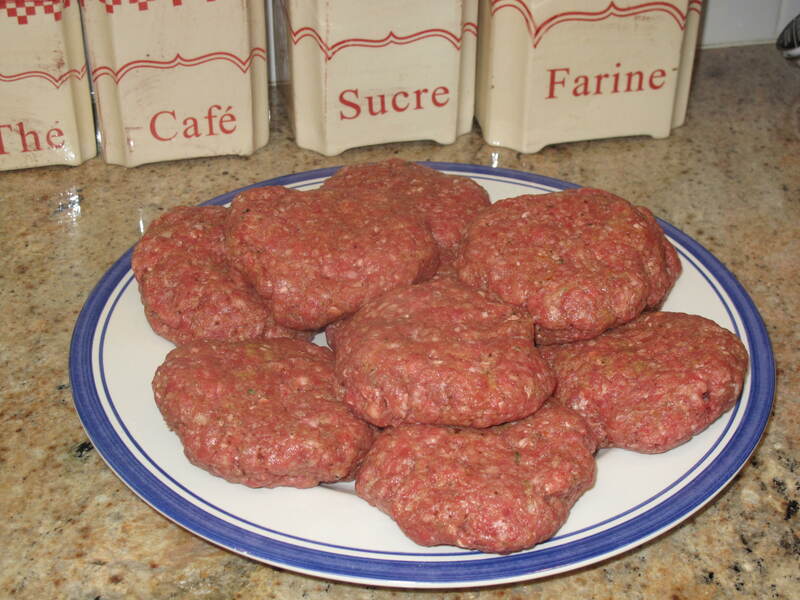 Lightly form hamburger patties and press lightly into shape. Cook the hamburgers for 4 minutes on 1 side, then turn and cook 3 minutes on the other side for medium-rare. Remove to a plate and cover with aluminum foil. Allow the hamburgers to rest for 5 minutes. Meanwhile, grill the buns, cut side down, for 1 minute, until toasted. Place a hamburger in each bun, plus your favorite fixings, if desired, and serve. The addition of the steak sauce and Dijon mustard give the hamburger the kick we were looking for in the burger. Bread crumbs and the eggs help keep the meat moist. So why go for ordinary hamburgers when you can go for extraordinary? Give our ‘Not So Ordinary’ hamburgers a shot. What did you cook this Memorial Day weekend? This entry was posted in Food and tagged Acorns, Blog, Cooking, Family, Food, Fun, Holiday, Life, Love, My Life, Photos, Recipes, Spring. Bookmark the permalink. That looks amazing. I like that you use a leaner and a fattier meat. The grill does like some fat. And I love Dijon. Good looking plate too. We had smoked lamb shanks, goat-cheese stuffed zucchini and potatoes and turnips in foil packets, since you asked. Sounds great Rufus’. 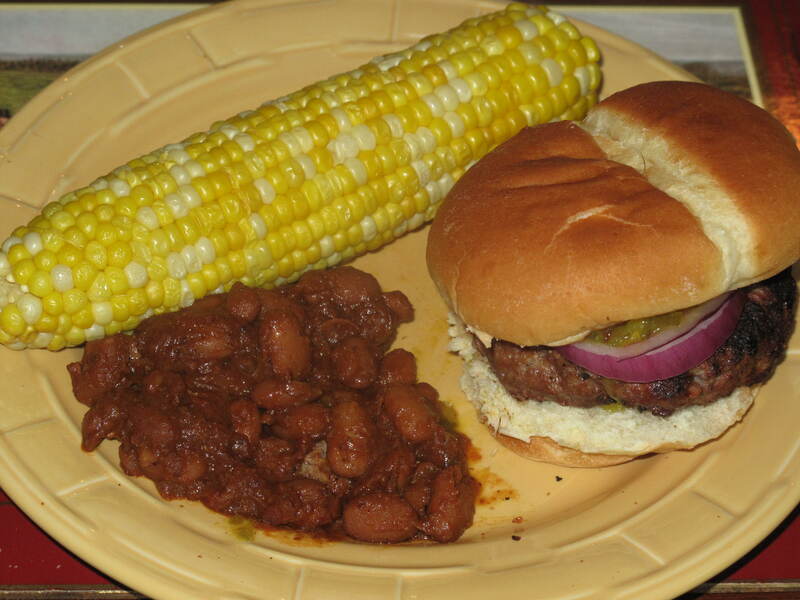 We tried to do a traditional Memorial Day dinner….hamburgers, hot dogs, baked beans, corn, etc. It was a lot better than my pictures show…trouble with the camera this weekend. Our Brooklyn Italian Grandmother was here too but her surprises will come later. Your menu sounds great. I love goat cheese and zucchini. Are you going to post that recipe or have you already? Come back and visit soon. We enjoyed pretty much the same except instead of baked beans we had a tasty pasta and shrimp salad. I admit your burgers seemed much tastier. For dessert there was strawberry shortcake and a new brownie recipe I tried. Overall a perfect way to kick start the summer season. Hi Dianna. Thanks for the comment. A burger and a dog on Memorial Day is always the best. Your menu sounds great. Any strawberry shortcake left? Looks delicious. May just have to try these next weekend. Hi tbrose. I hope you like them. We sure did….there were none left. Let me know how it goes. Come back and visit soon.